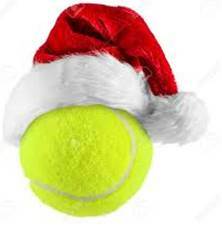 Clubplay on 13 Dec will have a festive feel: mince pies, mulled wine and Christmas songs interspersed with a spot of tennis. Christmas clothing encouraged. Mark Glentworth will be bringing a piano and leading us in a Christmas sing-song… gets those vocal chords warmed up or drink plenty of mulled wine…just turn up on the night, 7.15 onwards.